There may be no ‘i’ in team but there’s a few in a ‘million’…and there’s also one in ‘tsunami’. Because that’s what hit J.P. Fitzgerald’s bank account when former world No 1 Rory McIlroy got paid for his stunning victory at the FedExCup last month. McIlroy knew the money must have been in his bank account because Fitzgerald was doing handstands. “I think his words were, ‘A tsunami just hit my bank account, so thank you very much’,” McIlroy explained during last week’s HSBC Champions event in China. McIlroy was obviously happy to share the biggest payday in world golf with his caddy, Fitzgerald. The Irish ace fought hard and won a playoff to walk away with $9m in cash as well as another $1 million deferred into a retirement account. Amazingly, McIlroy also earned $1.53m by winning the tournament so naturally he wanted to share the joy with his long-time caddie. McIlroy said he paid his caddie 10 per cent from the $9 million he took home that day from his FedEx Cup bonus, and 10 per cent from the Tour Championship earnings. The smile on McIlroy’s face indicated he was equally happy for him. 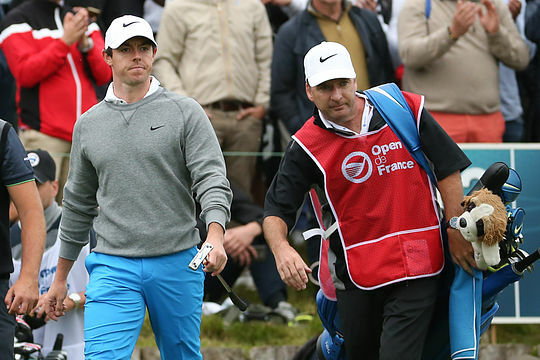 September turned out to be quite a month for McIlroy — and for Fitzgerald. McIlroy won his first PGA Tour event of the year at the Deutsche Bank Championship, which paid $1.53 million for being part of the FedExCup playoff. Throw in the Tour Championship and FedExCup title, and Fitzgerald pulled in $1,206,000 in two tournaments.